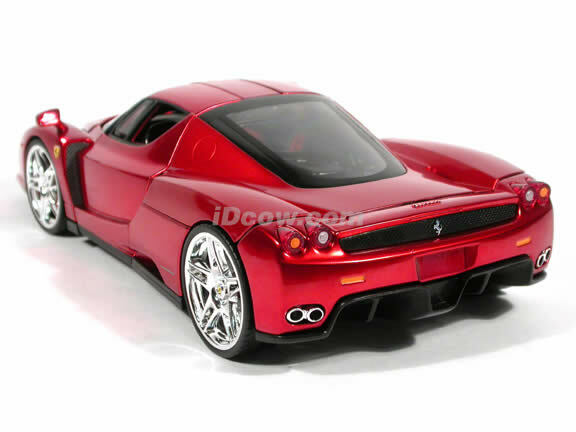 2003 Ferrari Enzo Whips diecast model car 1:18 scale die cast by Hot Wheels. 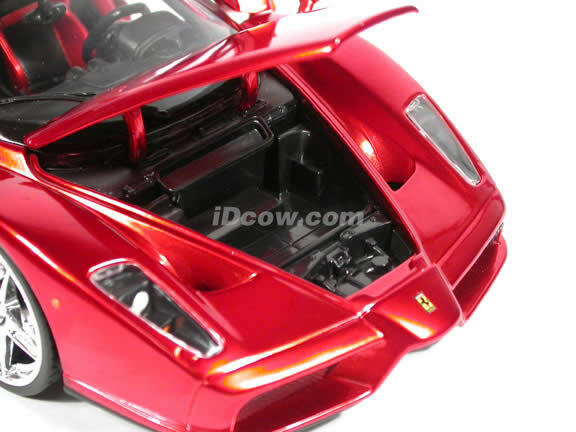 This is a very highly detailed Ferrari Enzo diecast model car 1:18 scale. Every details are well put together. Great collectible or gift piece. 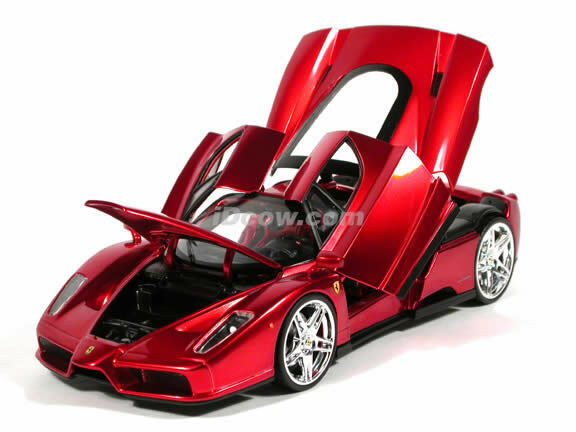 2003 Ferrari Enzo Whips diecast model car 1:18 scale die cast by Hot Wheels is one of the best showcase model for any auto enthusiasts. Ferrari's newest and greatest supercar uses design and technology inspiration from Formula 1, making it one of the fastest road cars in the world. With a rumoured top speed of 230mph and a 0-100mph time of under 7 seconds, this really is the ultimate driving machine of 2002. The 100% Hot Wheels?? 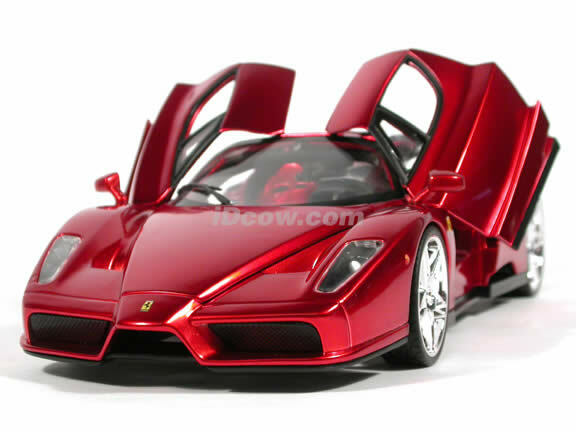 1:18 scale model will be the only way to get close to owning one of the most sought after cars in the world! This 100% Hot Wheels?? 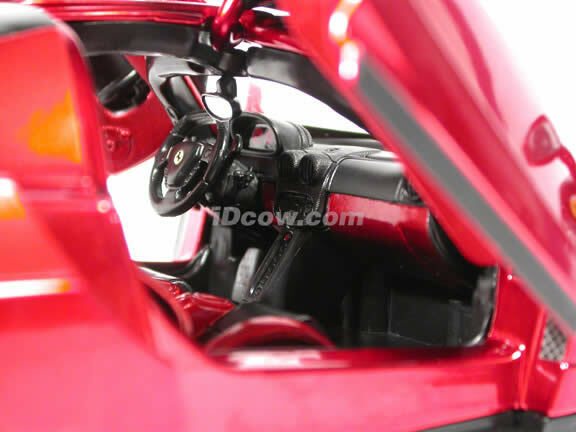 model is carefully detailed to precision including door handles, emblems, logos and shape of the headlights. So what does Ferrari think of Mattel and Hot Wheels?? cars? 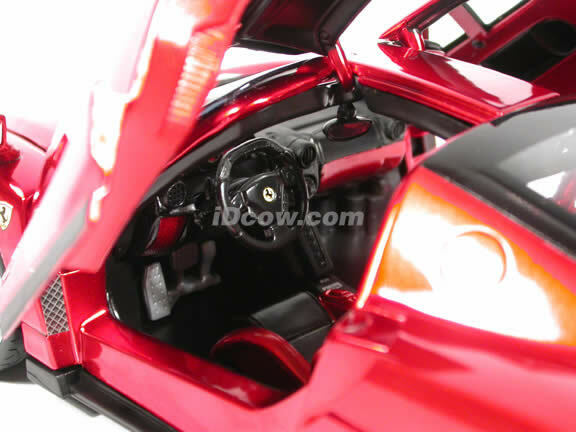 Alberto ppa, Ferrari's director of licensing and merchandising, told us that 'Mattel is the only die-cast toy marker permitted to use the Prancing Horse. It is more than a toy'. 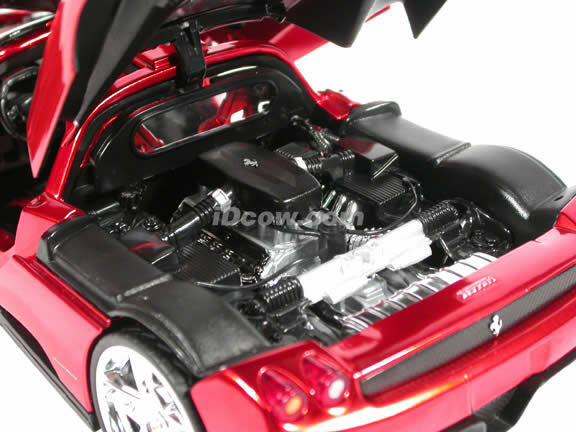 And it is no wonder Ferrari have teamed up exclusively with Hot Wheels?? to bring you the sheer joy, exhilaration and excitement from owning a Ferrari. 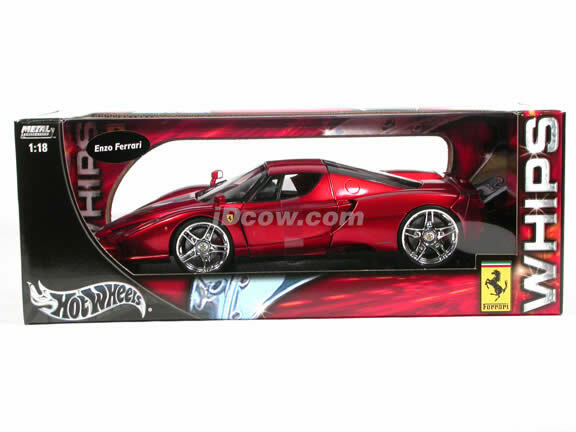 2003 Ferrari Enzo Whips diecast model car 1:18 scale die cast by Hot Wheels.